Home › Home and Kitchen › Sistema To Go Collection Lunch Plus Multi Food Storage Containers Assorted Co..
Sistema To Go Collection Lunch Plus Multi Food Storage Containers Assorted Co.. Millions of customers in over 100 countries around the world use Sistemaproducts to help make their life a little easier. From drink bottles to lunchboxes, microwave mugs to kitchen storage boxes everywhere, Sistema containersare used people find a purpose that suits their lifestyle. Sistema was builton one man's dream in his garage in small town New Zealand. That dream has nowgrown to include a team that spans the world. The vision to manufacture abeautifully designed, well made container in New Zealand and ship it tocustomers around the world has finally been realized. But our dream has notfinished as we continue to innovate and design an ever increasing range ofproducts manufactured to suit our customer's ever changing requirements. Beassured that every container that leaves our state of the art factory is madeusing virgin material that is both BPA and Phthalate free. All Sistemaproducts are dishwasher (top rack), microwave (without lids), fridge andfreezer safe. Taking the simple premise that customers want a well-made,beautifully designed, food safe storage container that would be stackable, theSistema range was born. All of Sistema's featured collections help make life alittle easier: Klip It , Bake It, To Go, Microwave, Lunch, Hydrate andStorage. Look for the distinctive Sistema Klips on most products sold! OurSistema To Go range is perfect for busy lifestyles; it is focused on keepingfood fresh on the go, with multi compartments to keep ingredients separatedand fresh until ready to eat. We have everything covered for your food on thego needs, starting with smaller containers for sauces, yogurt, muffins andsnacks. Larger containers for sandwiches, salads and wraps. 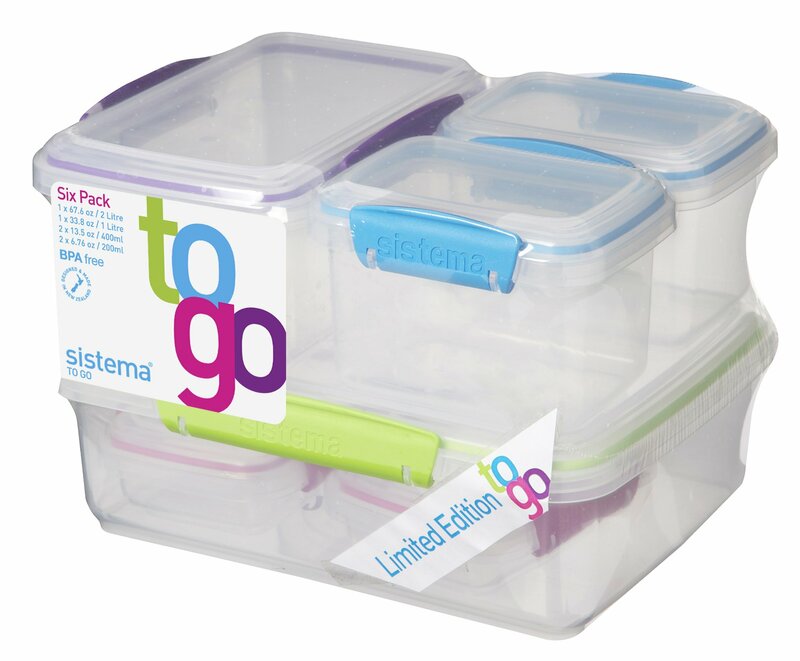 Multi-compartmentcontainers to keep ingredients and food items separated until ready to eat..Taking lunch to the office, work site, school or trips to the park, there is aSistema To Go container to suit your needs.